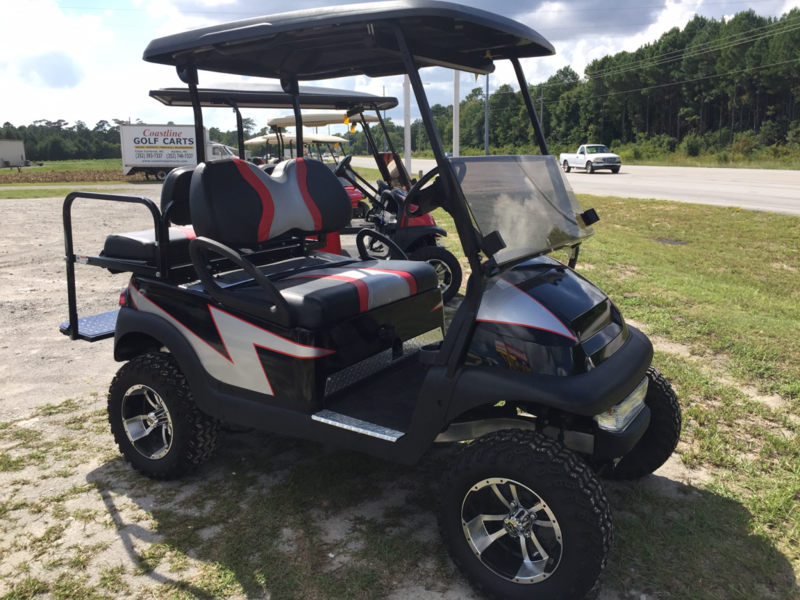 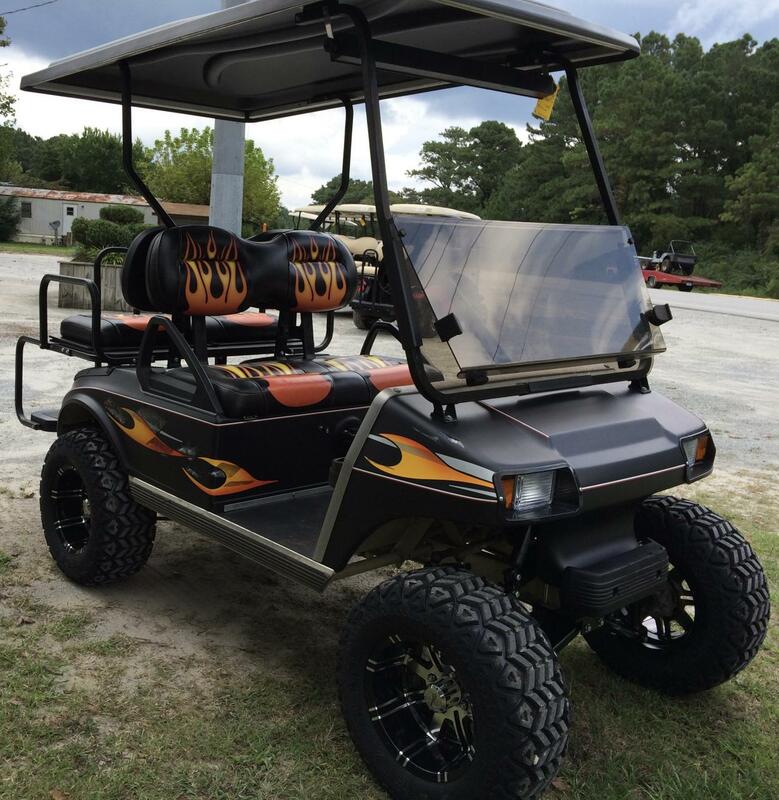 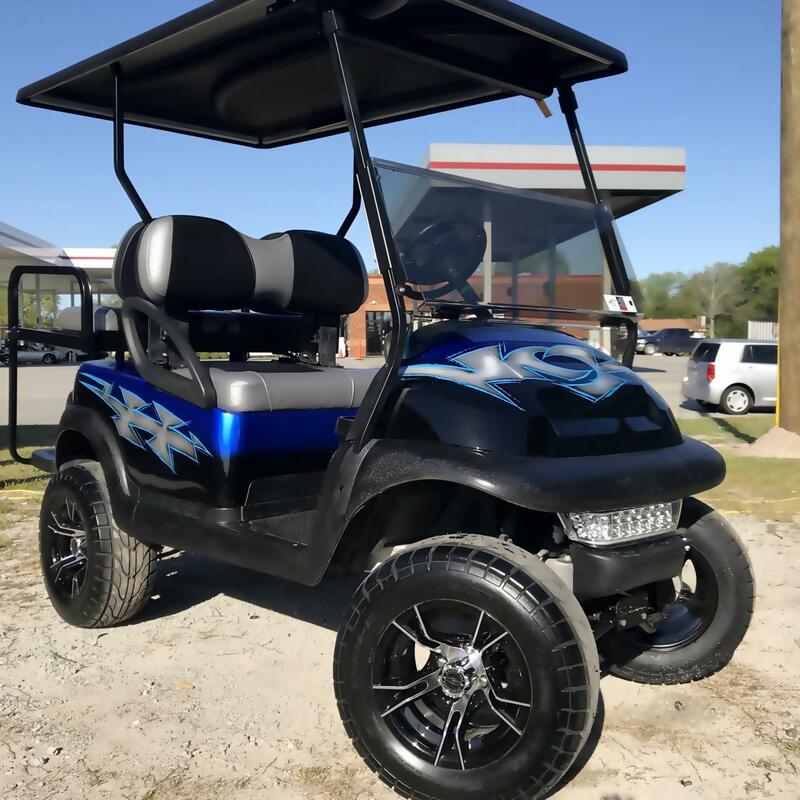 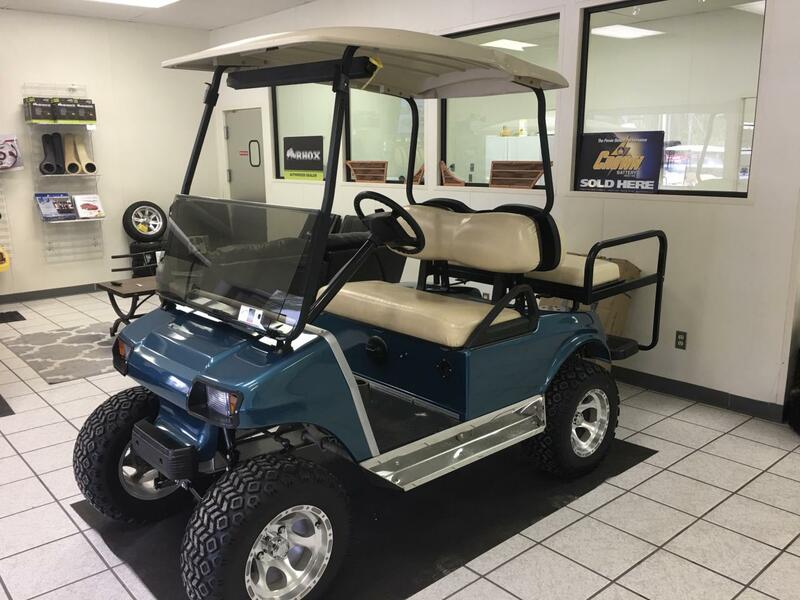 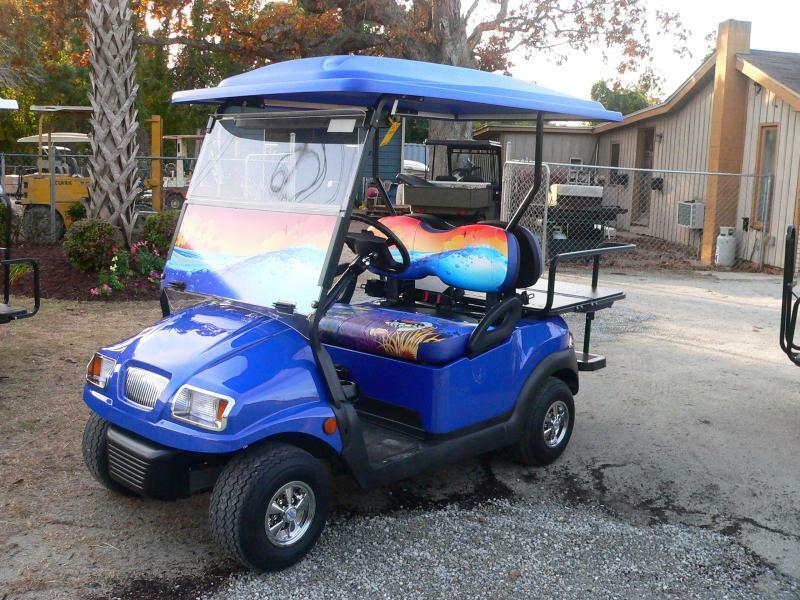 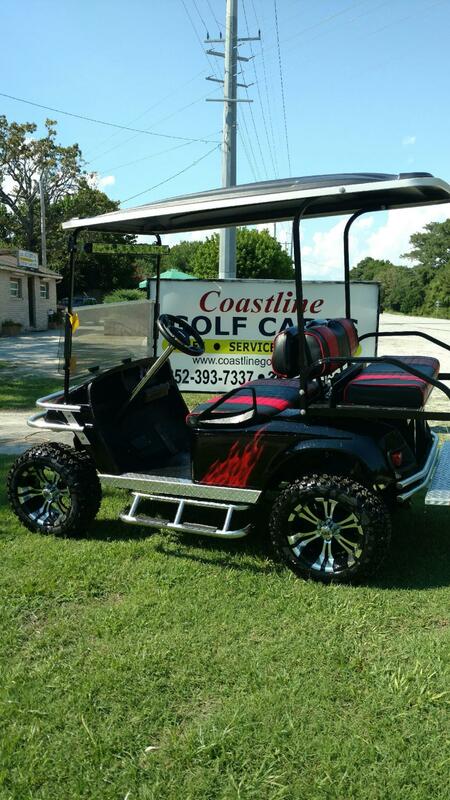 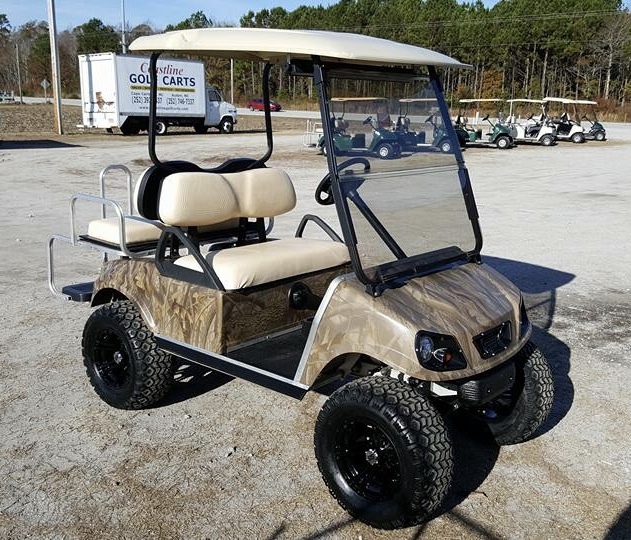 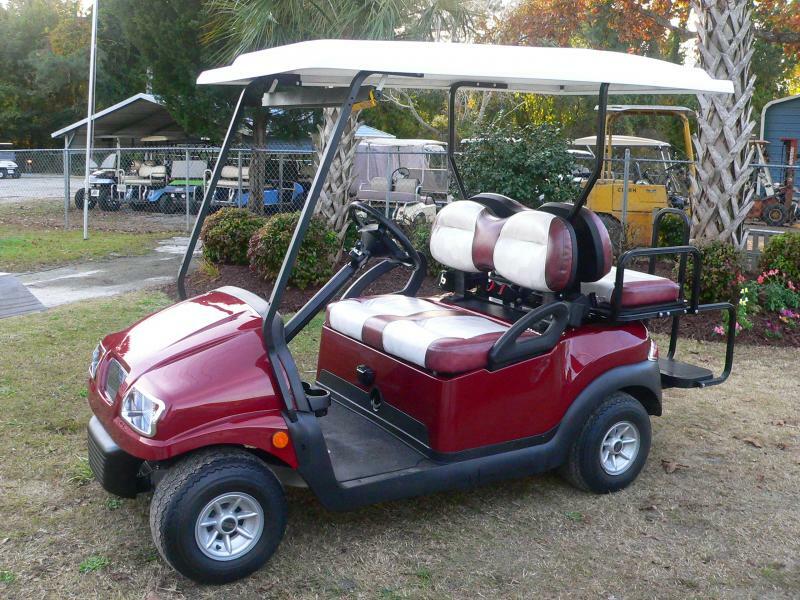 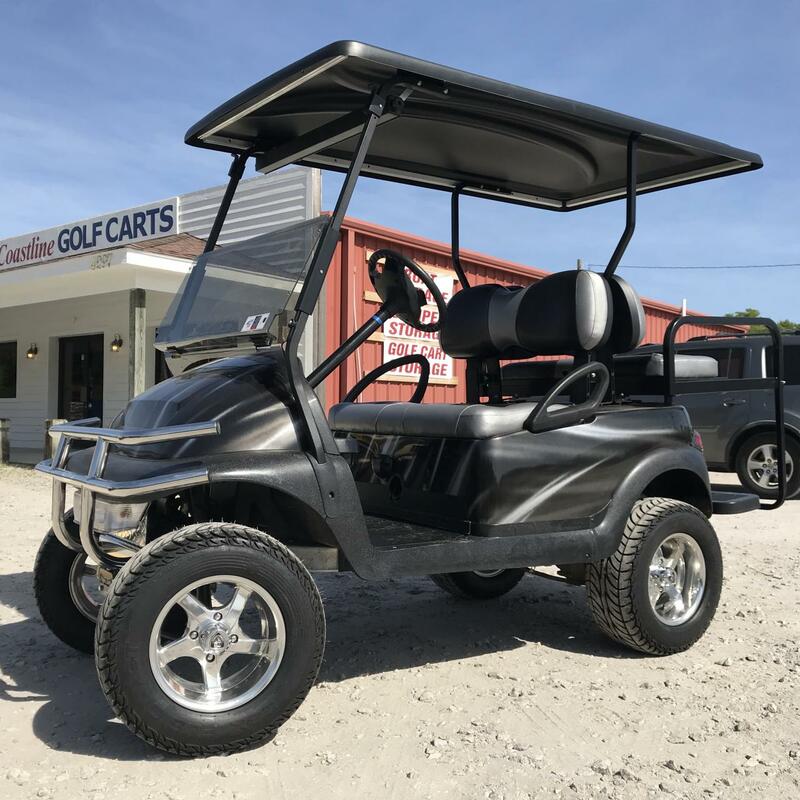 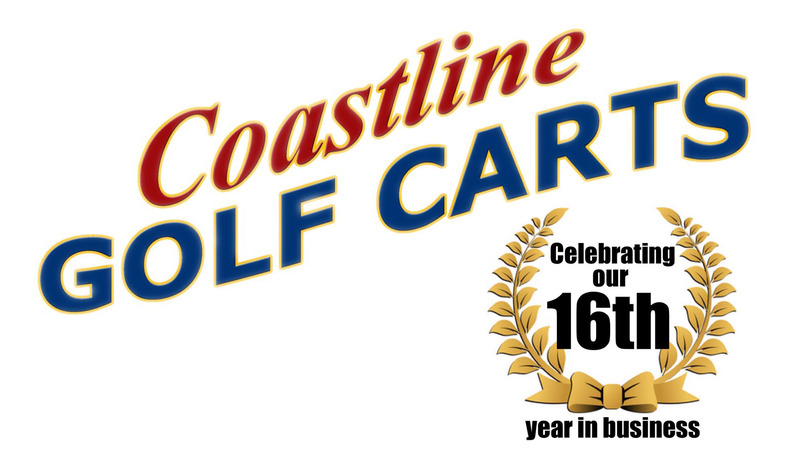 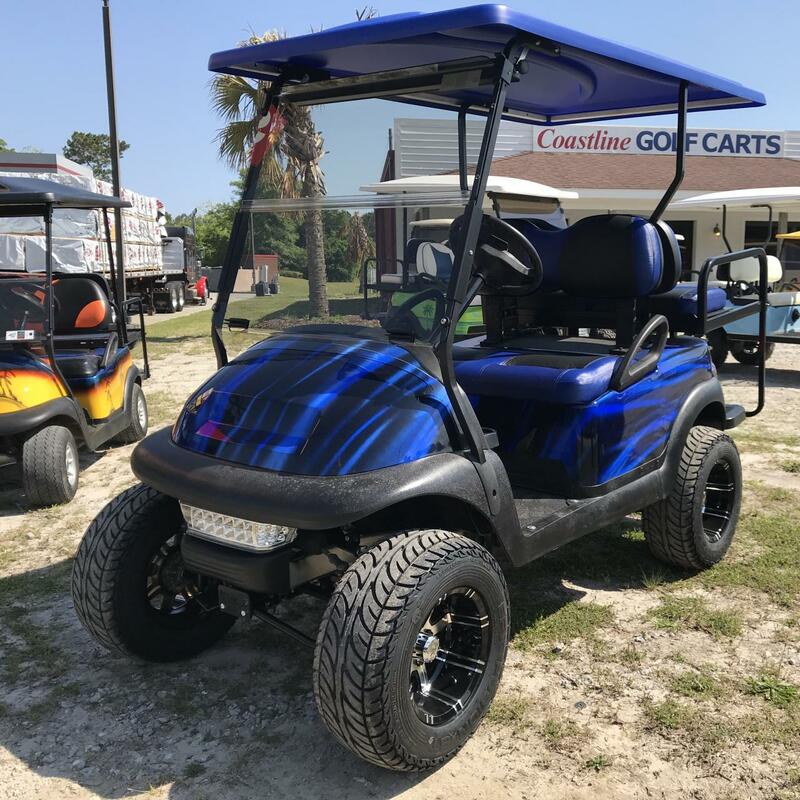 Browse through a small selection of golf carts that we've custom built here at Coastline Golf Carts. 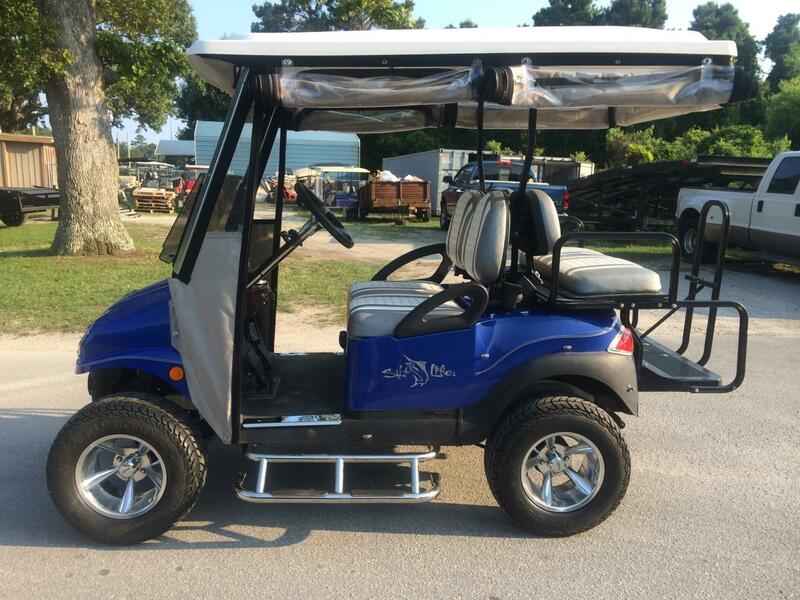 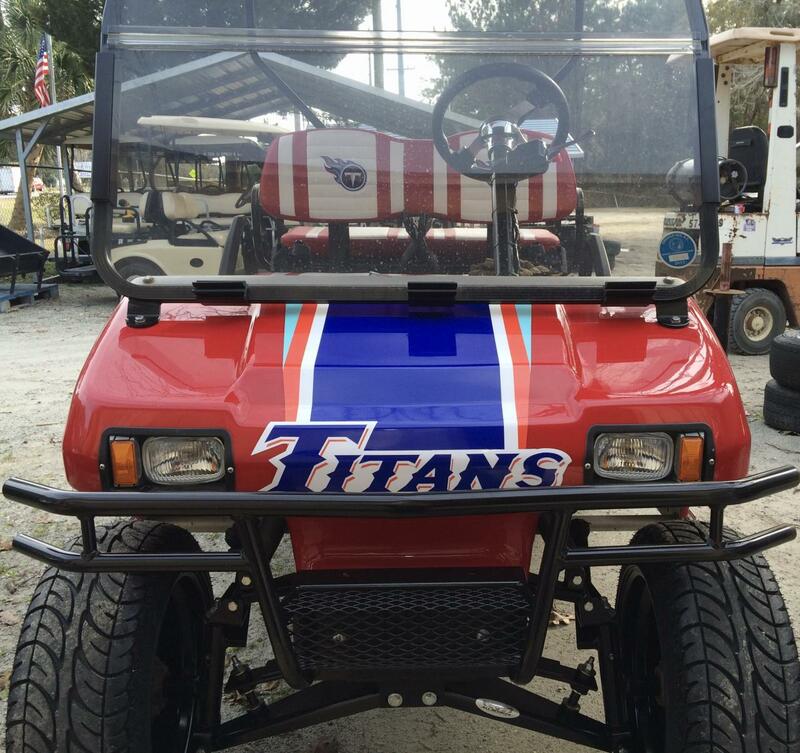 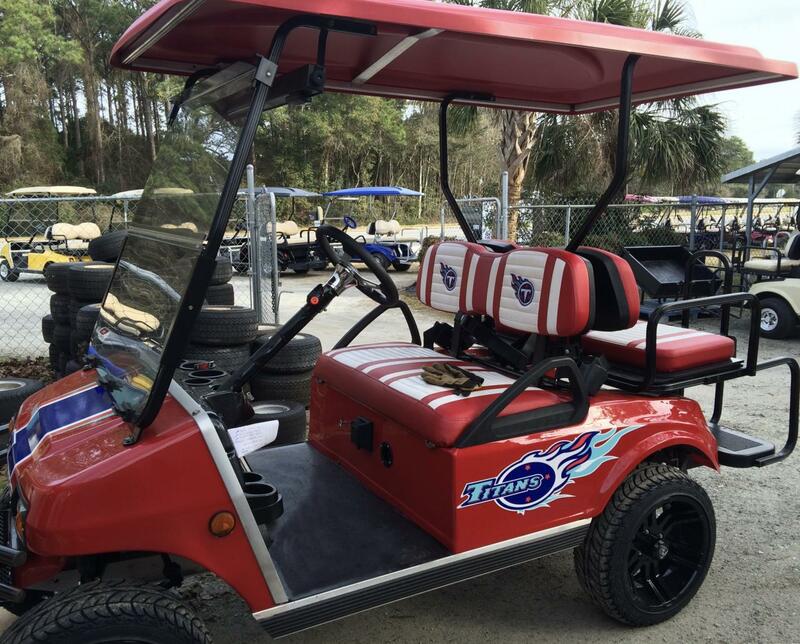 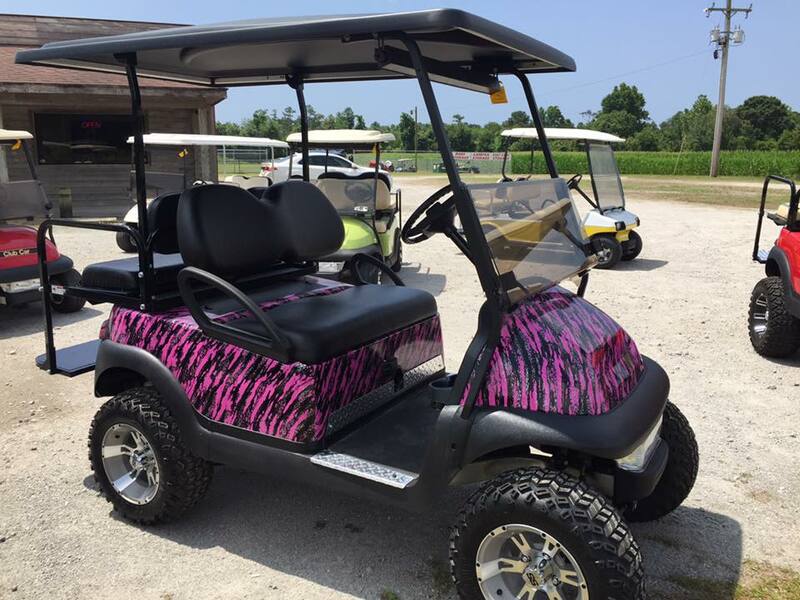 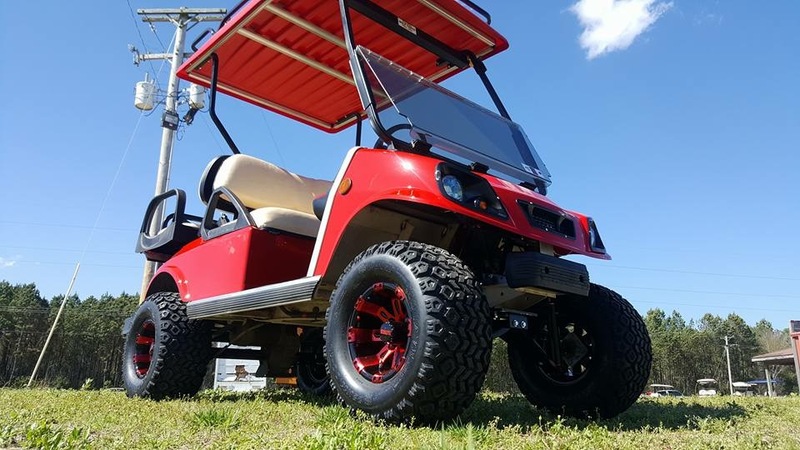 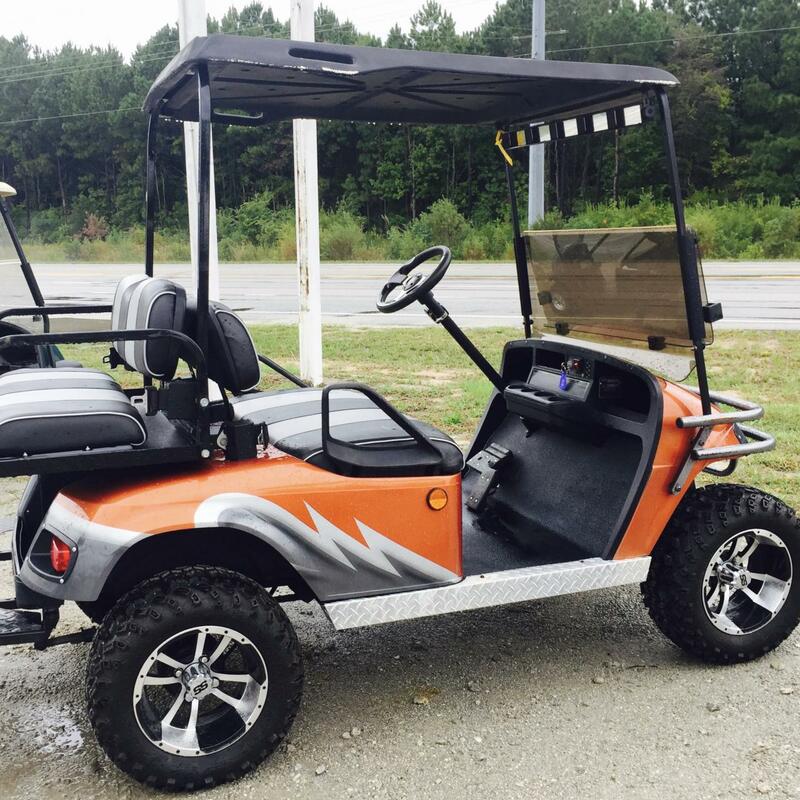 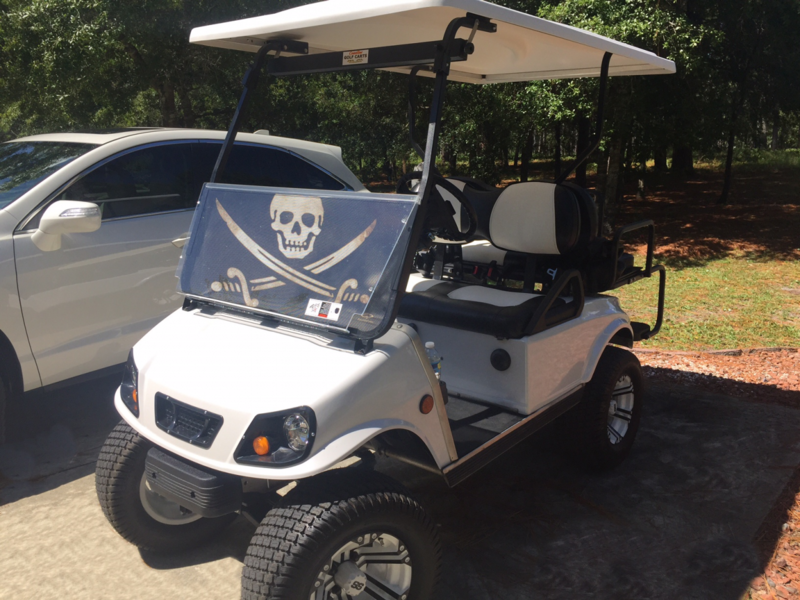 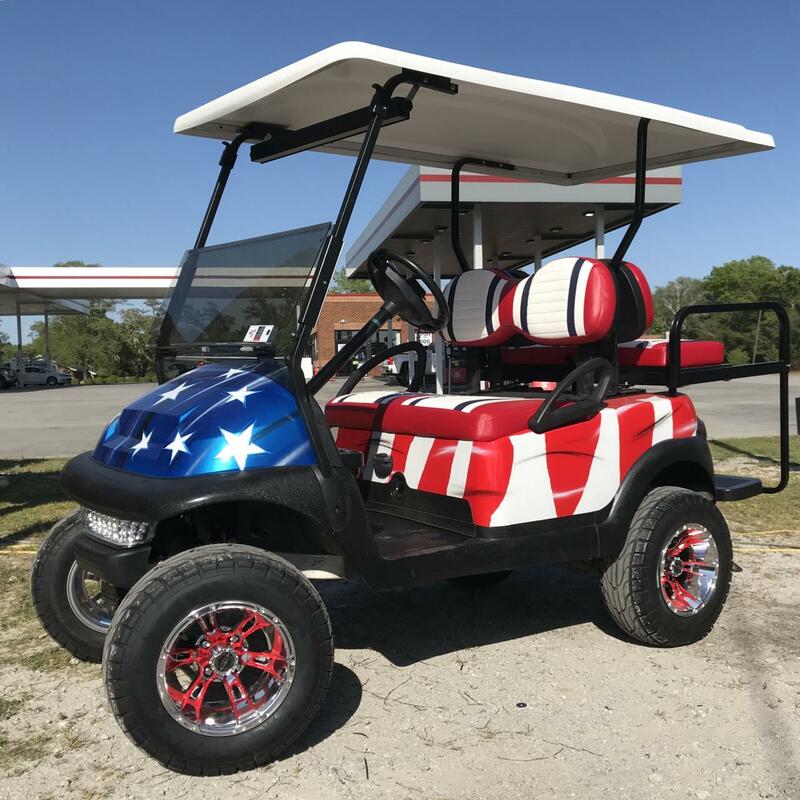 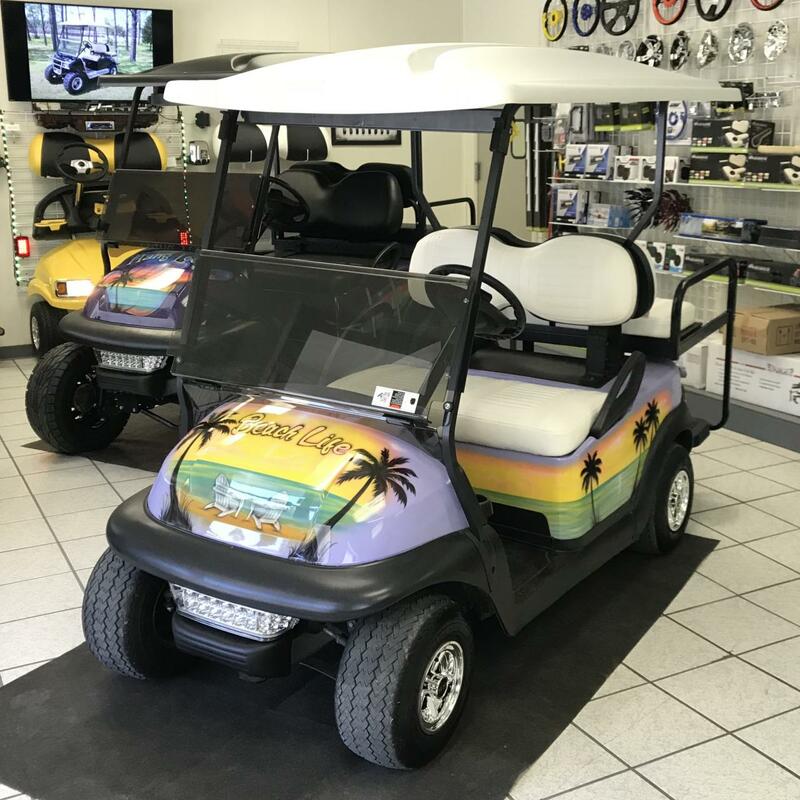 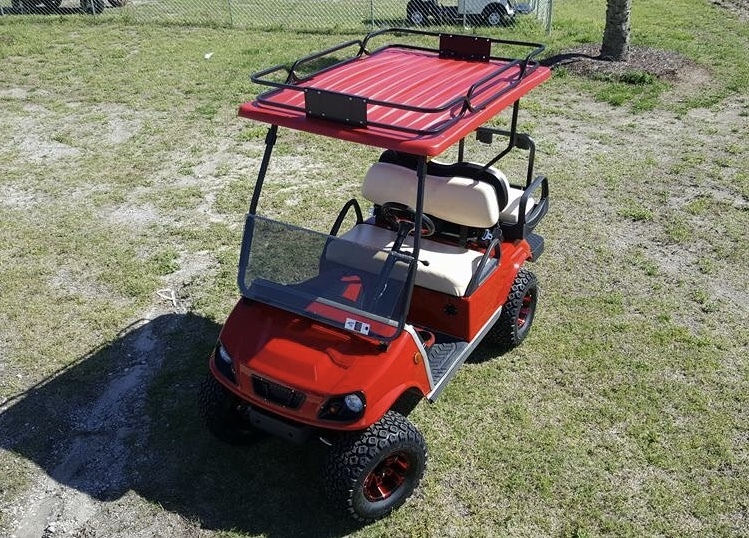 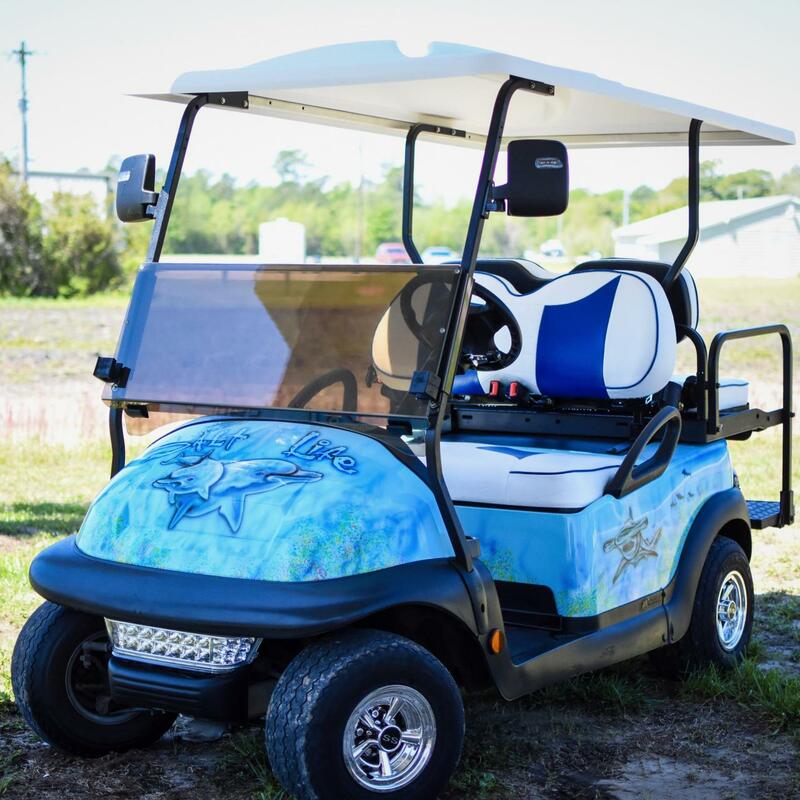 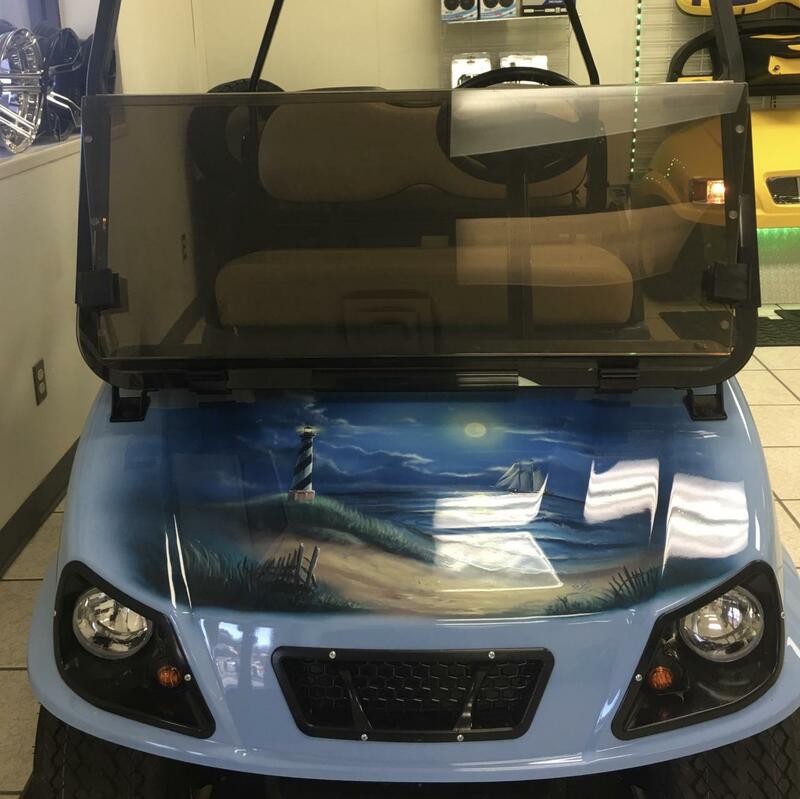 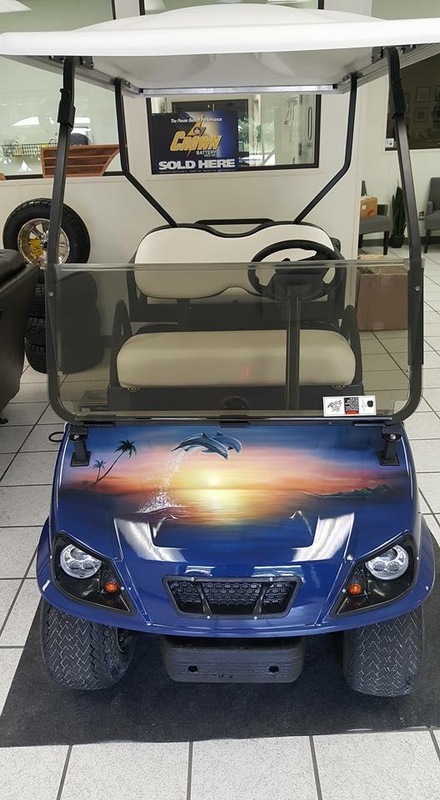 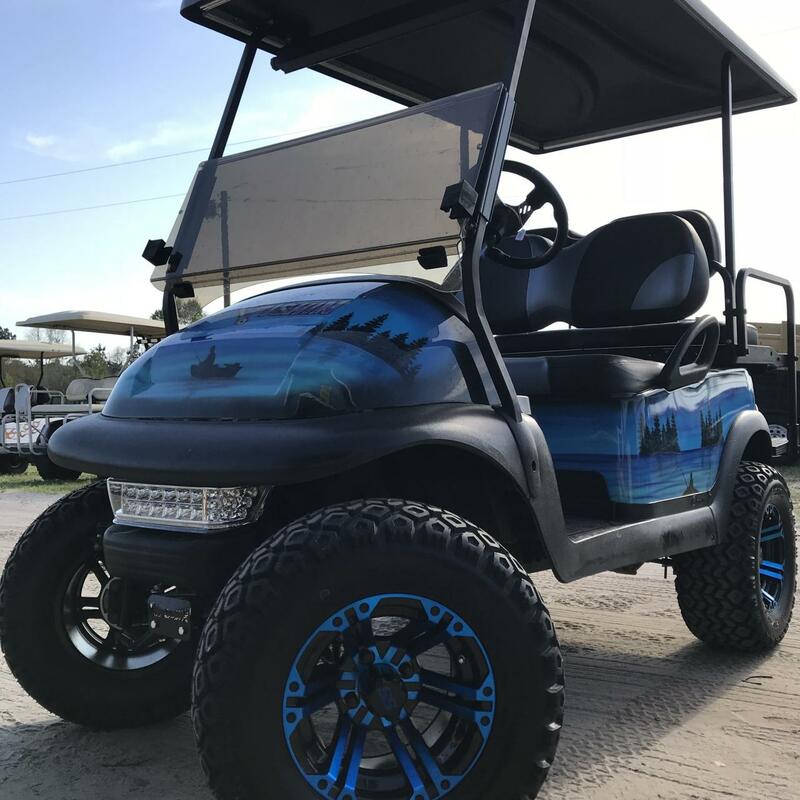 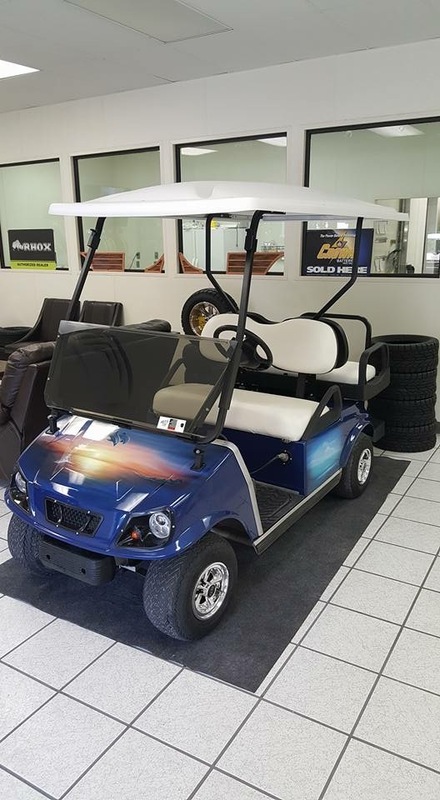 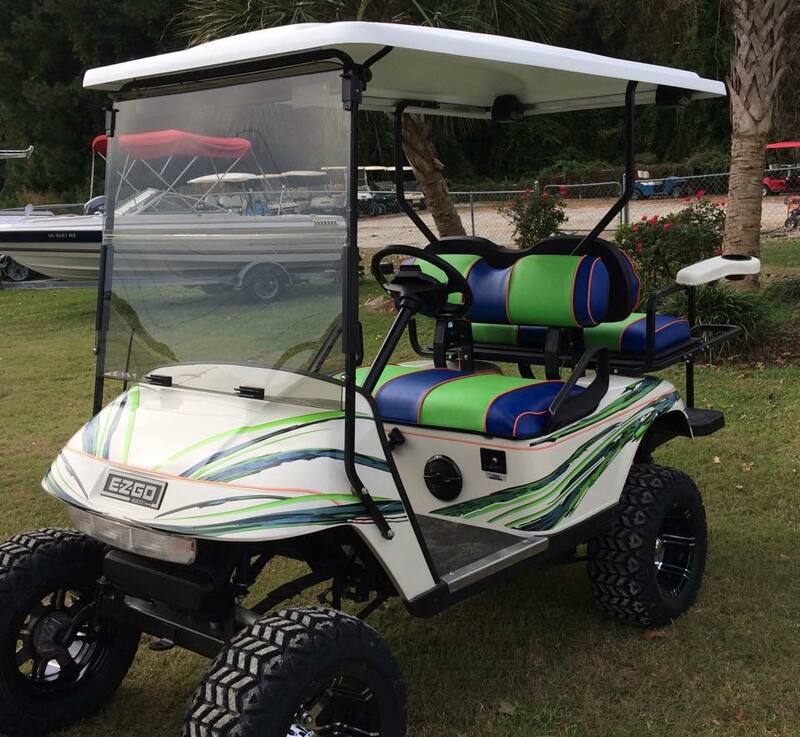 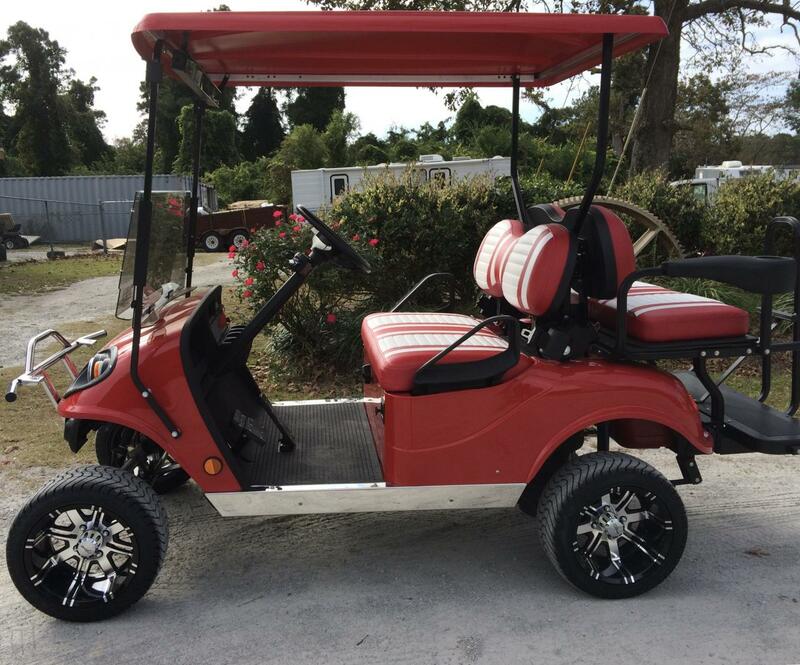 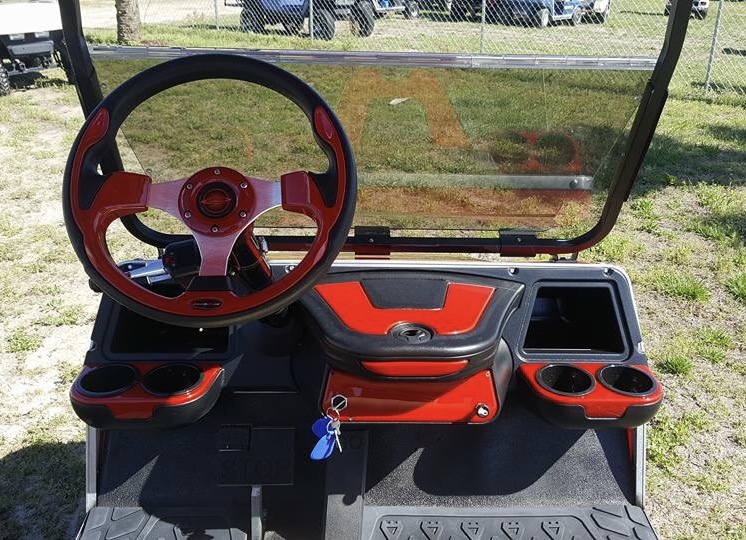 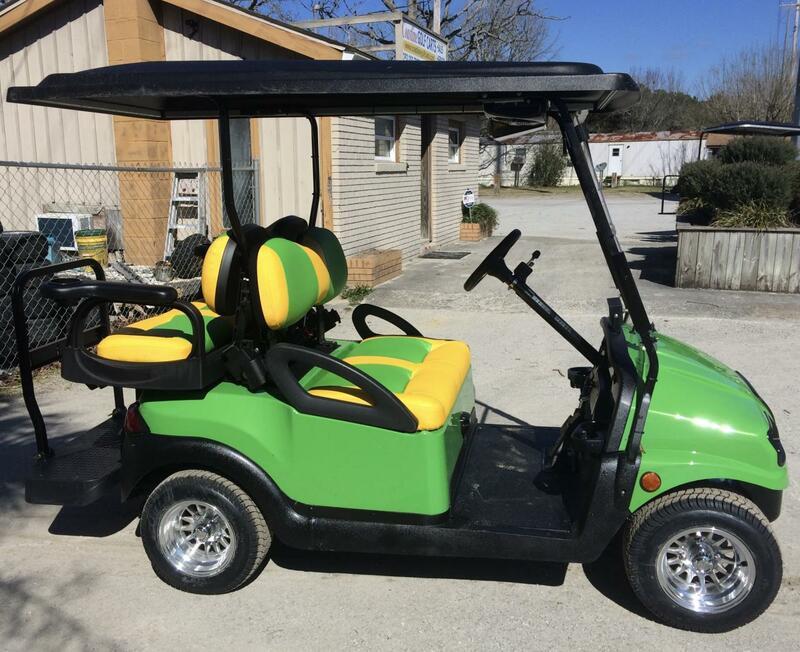 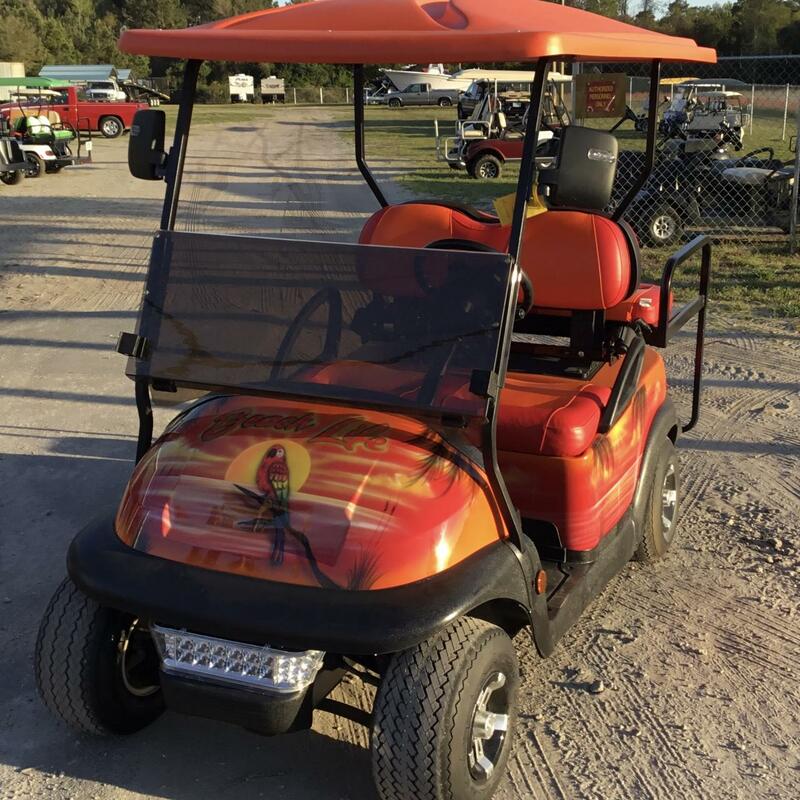 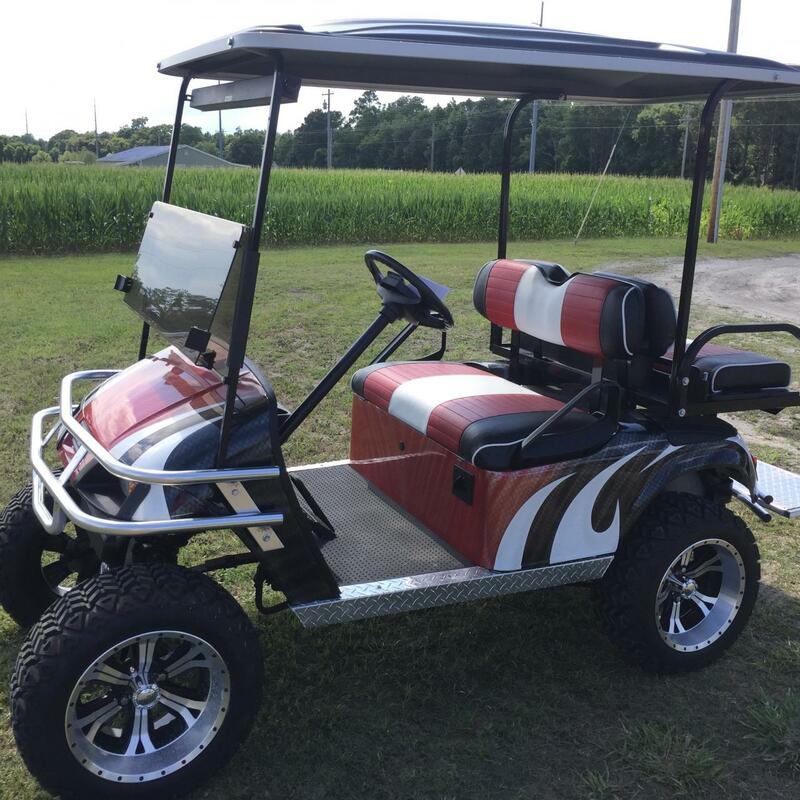 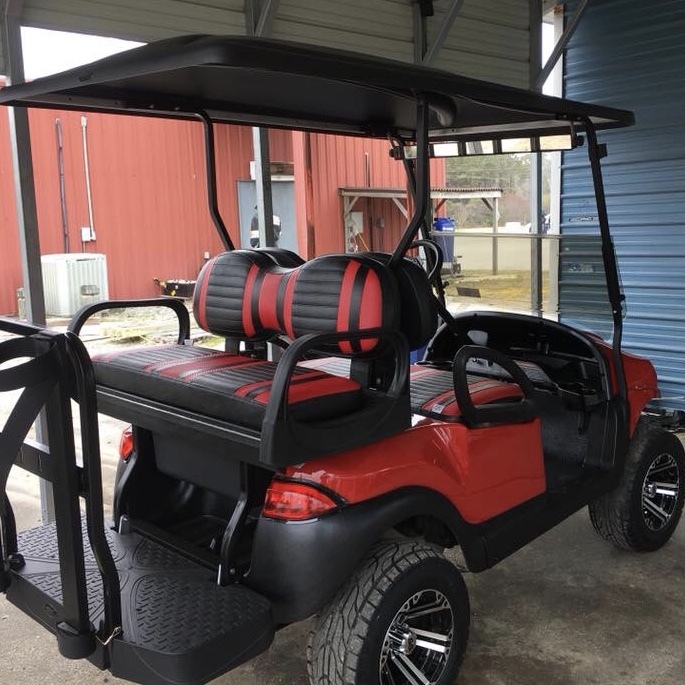 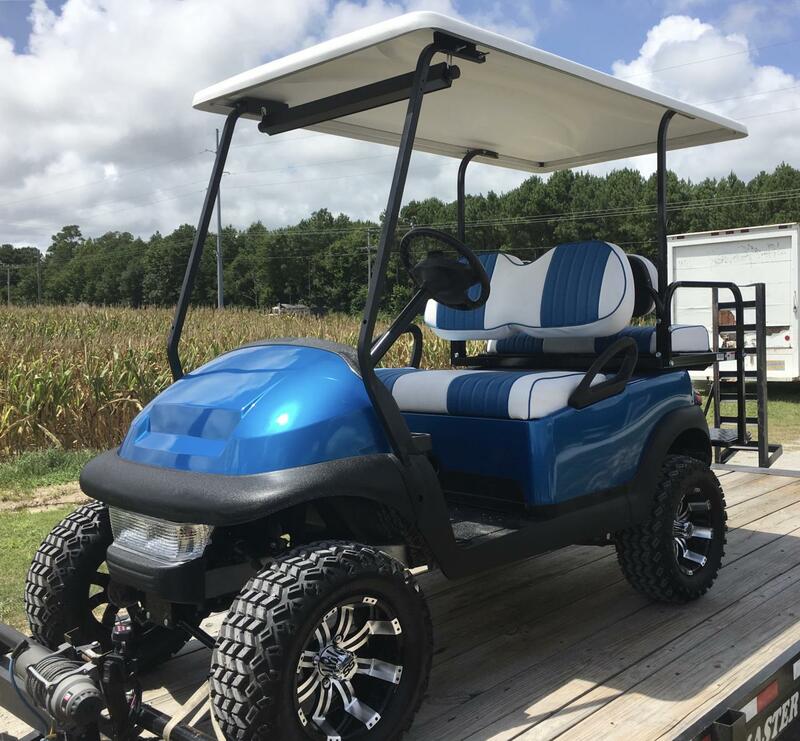 We offer a full line of accessories, new or custom painted golf cart bodies and installation to customize your golf cart like the photos shown here. 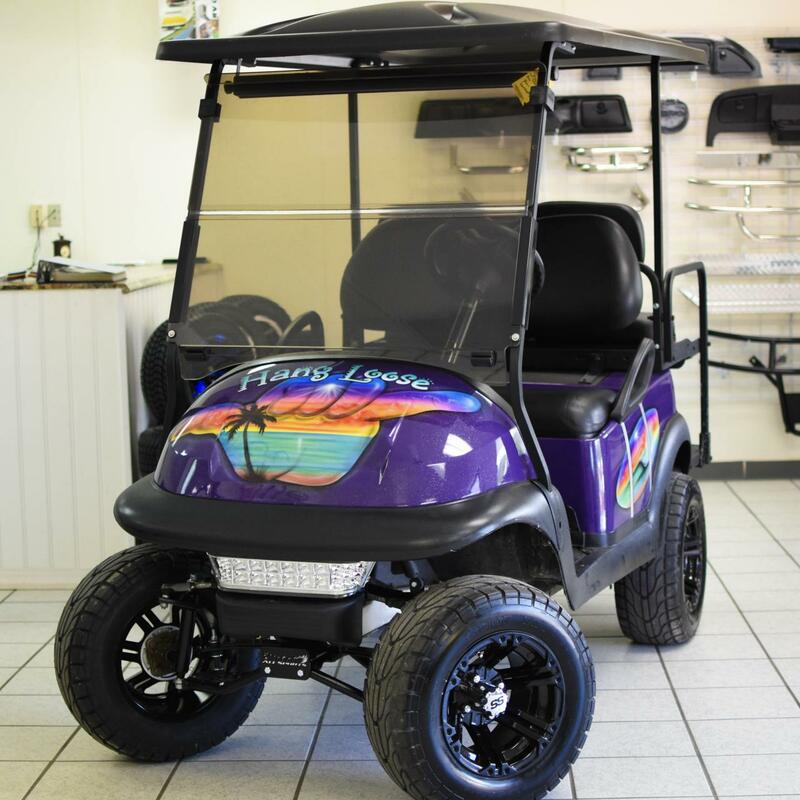 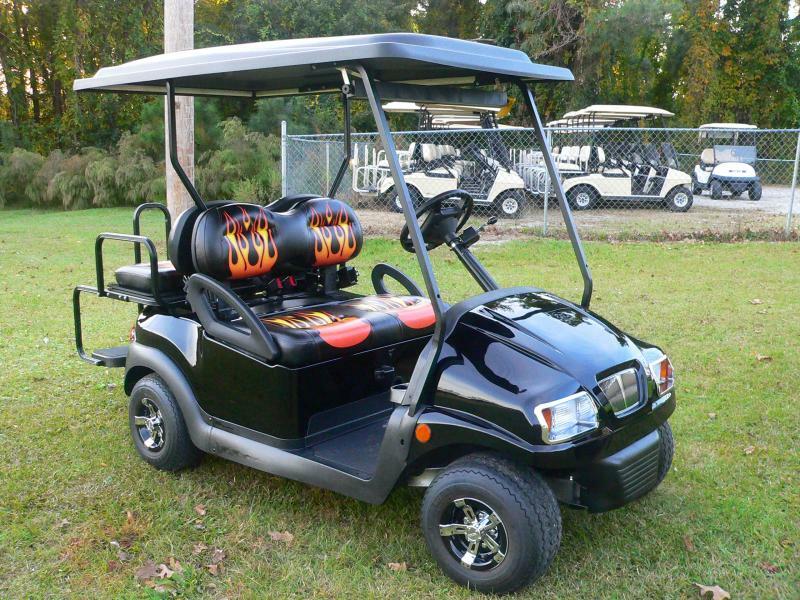 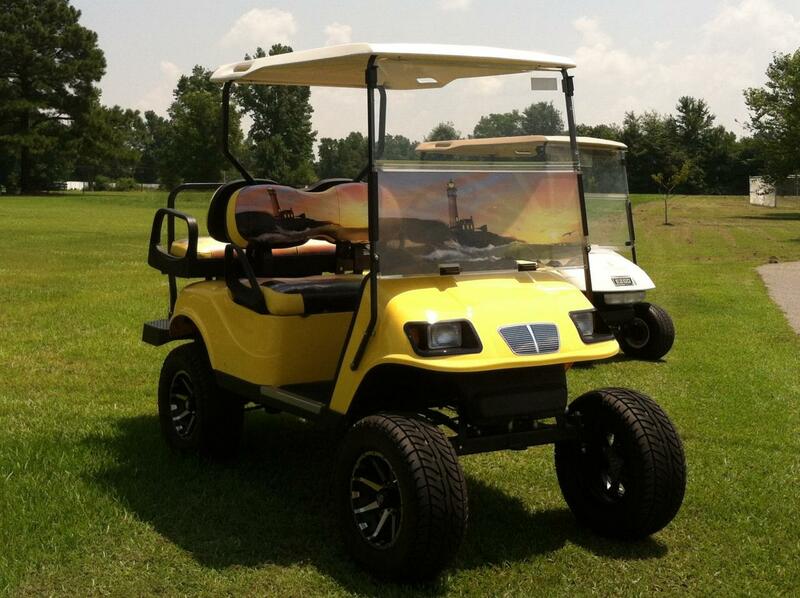 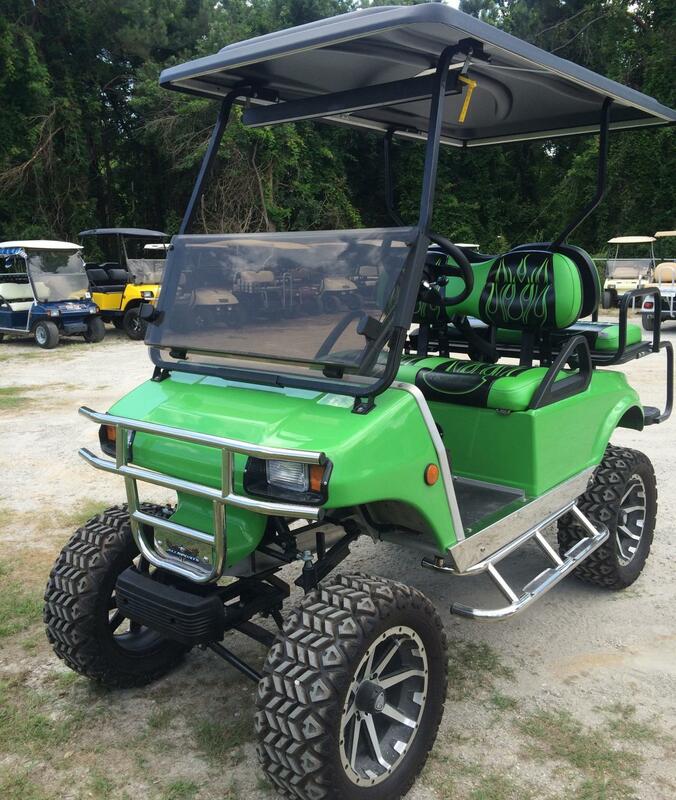 We really enjoy building custom golf carts and will happily help you design a custom golf cart of your own. 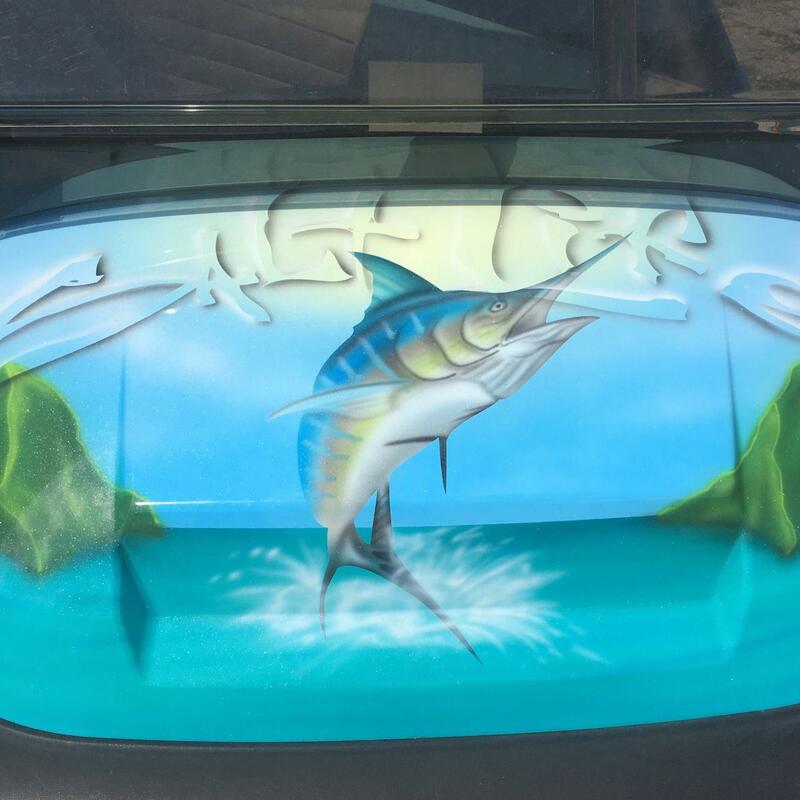 Select a photo below to expand the image, then select play to view as a slideshow.